This is just a quick update to tell you that we are three weeks away & I'm SO excited. Also to let you know that I have set up a new photo website that I will be uploading ALL of our trip's pictures to hopefully each evening of our trip. I will post our favorite pics on the blog with that day's update, but I take a lot of pictures. I mean a lot. I just had to move 6,000+ pictures from my laptop to my external hard drive to make room for this trip's pictures. Obviously I will not be able to post all the pictures on the blog and that's the reason for the new photo site. Also hopefully I'll also remember to post the link in each post to make it even easier for you guys. Aren't I nice? So you can head on over if you'd like. I'll hopefully post some of my favorites from past vacations tonight so that you can have something to look at until our trip. And yes, those are my feet on Castaway Kay (pronounced Key), Disney's private island, at the adult only beach. That's it for now. Talk to you soon! I'm back for another completely random post. Monday will mark 3 weeks away from our trip to Disney World. I have been trying to keep busy so that the time will fly by. I've been quite successful at it as this week did fly by. I was so busy I only watched one Disney movie, so I'll leave my review of that one for my next post. I've found it's been easy to keep busy, though. On Thursday alone I went to work, washed & detailed my car, watched the Met game, made myself one of my favorites, Chili Cheese Dogs, for dinner and then went to bed... I should have been a man. Seriously. Monday I built two filing cabinets for my new office. Okay, so I didn't "build" them, but I put them together. These weren't little flimsy things though. These were real wood, 20 million step instruction booklet cabinets. I got to use power tools & all. Loved it! Now don't get me wrong. I don't think God messed up when he made me, but I definitely have more guy traits than girl. My girl traits are the typical... love getting all dolled up, LOVE make-up, manicures & pedicures, etc. Another pretty major girly trait of mine, an intense hatred for bugs... any kind of bugs. I would freak out the same if a snake was about to crawl on me or if a butterfly landed on me, yes a butterfly. I hate bugs! This brings me back to why were all here, my upcoming trip to WDW. Today while surfing the Internet (I'm so proper. who says that anymore?) I came across some pretty disturbing news. First, while Kristin and I are at WDW it's the Flower & Garden Festival and they will have a butterfly house. Okay, so if we decide to go in there it's gonna be interesting to see myself not swat at the butterflies if they land/fly anywhere near me. Do you think Disney would frown upon me bringing a flyswatter into their butterfly garden? Disturbing news #2 and so much more disturbing. Today was the official start of the dreaded Love Bug season!! If you are not familiar with Love Bug season, count your blessings. Fl is known for being infested with these little nuisances usually some time around May & September. Some years they're not so bad, but other years you'd think it was the plague! There were pictures on the internet of benches at WDW totally covered by these stupid little things. Apparently, they are attracted to light colors, especially white, so the white benches were covered. Now just to prove how pathetically girly I am, they don't even bite. They don't sting. They don't do anything except fly around & I completely freak out if one is near me. Actually, they do do a little more than fly around..."LOVE Bugs". Still not following? Below is a picture for my slower readers. *Insert "Can you feel the love tonight" by Elton John here* Yes, these little freaks even stay like that flying thru the air. So it's not just one bug flying around you, but two super freaks! So annoying. The worst part of this is that any Floridian (or guy) thinks that the idea of even being annoyed (scared) by these things is a joke. So I will be walking through the parks freaking out that a bug is near me about every two seconds. So Kristin is in for another treat. She gets to watch me make a complete fool out of myself over bugs. Hopefully this love bug season will be a mild one. Since we are only about three weeks out I have started to think of the last loose ends I need to tie up before leaving. I need to add the dining plan to our reservation. At 10 days out, we can check in to our resort online, which is still the Boardwalk as the waitlist still hasn't gone thru. I need to buy a new camera. I have a dslr (Nikon d60) but my simple point-and-shoot digital camera is from 2007- that's like prehistoric in the digital camera world. So I want to pick up a new point-and-shoot digital camera that I could just throw in my purse and not have to worry about it. My dslr is a beast & weighs a lot! I'm looking into a point-and-shoot that also records HD video, so you guys will be in for a treat- pics & video. Um, maybe I shouldn't teach Kristin how to use it, so that no embarrassing videos of me freaking out over bugs shows up on the internet. Well, I think that's most of it... for now. I'm late, I know. My special Monday update is now my special Tuesday update. Things have been a little busy lately, which is a good thing since it passes the time a little faster. Yesterday, I had work, then I do these special research studies (that I'm not supposed to talk about. Oh well.) & I had one yesterday. I had to go to Tarrytown & watch America's Funniest videos & then a bunch of commercials all while hooked up to monitors kind of like a lie detector test. Afterwords I had to answer a "brief" survey about the commercials I saw. The whole process took about 40 minutes & I got $100! Great deal huh? Normally I don't have to go to Tarrytown, this was a first. Normally I go to the place in the mall, we'll call it "TA" and answer the surveys there. The other week I got paid $20 just to try an energy drink. It's easy money, I can't complain. So anyway, after that test in Tarrytown I got home just in time to have dinner and then go back out to attend Dave Ramsey's Financial Peace University, which I cannot say enough about!!! Thanks to him I WILL be a millionaire. He is an incredible finance guy that doesn't teach you "get rich quick" scams that don't work, but rather totally changes the way you look at money & finance. He teaches not only on budgeting, but also insurance, investing, etc. It's great. After FPU I made it home in time to see Jack Bauer save the world one hour at a time. Can I just say, poor Jack! He lost Renee Walker! Now Renee I don't feel too sorry for, 'cause really, am I gonna feel sorry for someone who went out with a bang?? No pun intended. I mean really, what a way to spend your final moments. Imagine the fun Jack will have writing up that police report! "What were your last moments with the deceased?" hahaha Aaaaaanyway. By the time 24 finished I was so tired from my crazy day & so emotionally drained, poor Jack. I just had to go to bed. So there it is... a very long excuse on why I am late. Now I will rewind and write the rest of this as if it is Monday. Work with me people. I really like Pinocchio. I didn't care for it too much when I was young, but really there are so many parts of the movie that are just classic Disney. "When you wish upon a star..." that statement right there really says it all. 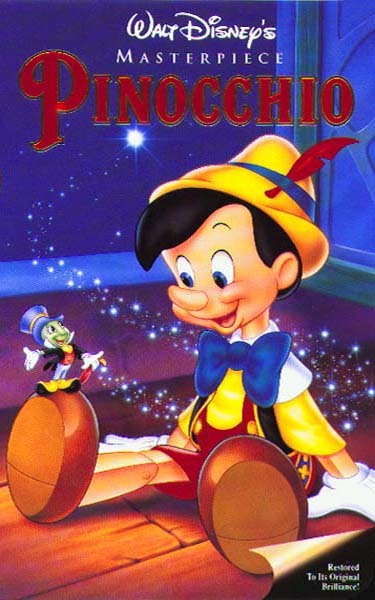 Another part I like about the movie Pinocchio is that it really speaks to me. The boys who act like jerks turn into jackasses! I love it! I grew up in a home where even saying "shut up" would get you in trouble. On my mom's side of the family the word "jackass" was the quintessential "you're a moron" word. Then if you were a "stupid jackass" there was no hope for you. You are just pathetic. Well, still to this day I don't know how I got away with it, but in my teens my house (meaning my mom, me & my brother) suddenly accepted the word into it's vocabulary. My father, never uses it. I got a disgusted eye roll when I used it, but I think he just gave up, especially when I had Pinocchio as a defense. Love it! 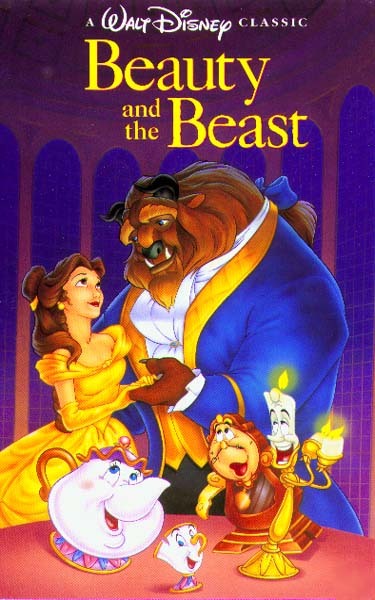 Beauty and the Beast was my childhood favorite. I LOVED this movie... and still do. I thought I was Belle. I had that movie memorized. I had every beauty and the beast item you can imagine, including the nightgown. My poor brother had to watch it daily! This movie is also very special to me, as it was my first Broadway experience. I will never forget that night. My parents and Aunt & Uncle took me for my birthday. It was absolutely magical. After the show my Aunt & Uncle bought me the show's sweatshirt and I still have it up in the attic. So as you can see Beauty and the Beast has a lot of memories tied to it for me. I ended up seeing it on Broadway two more times before it closed. I really hope they bring it back, because I'd love to see it again! 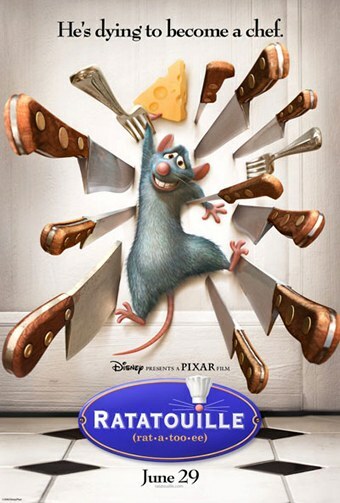 Next I watched Ratatouille. I had only seen this one other time, so I barely remembered it. I really enjoyed it. I had forgotten how cute it was. I especially enjoyed it 'cause I enjoy food, A LOT! I also enjoyed all the little one liners about the French. "I hate to be rude, but we're French." Love it! 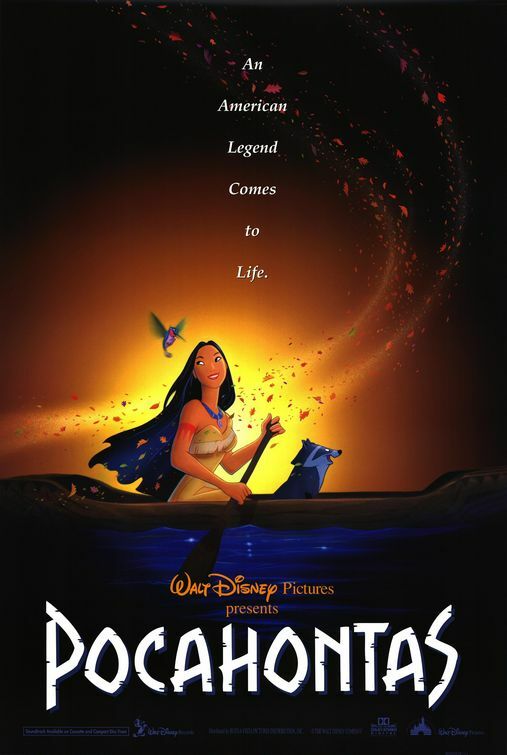 Pocahontas is special to me because it was the last Disney movie I got into as a kid. I remember getting it for Easter and watching it 3 times that day. I really enjoyed it as a kid, but as an adult it's not one of my favorites. It's ok but definitely not the best. 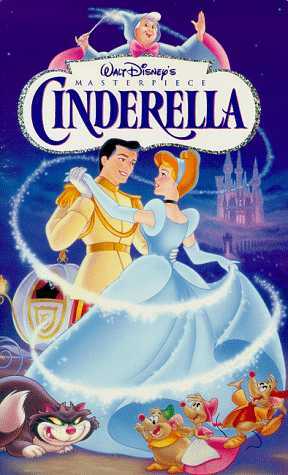 Who doesn't love Cinderella. Everything about it. It's just classic Disney. I love it. The castle alone. To walk down Main Street USA at the Magic Kingdom and see that beauty. Magical! Love Cindy, love the dress, love the adorable singing, sewing mice. Love it. So those are the movies I've watched so far. By now you are hopefully understanding how serious my obsession with Disney really is. Next post I'll fill you in with more movies and I'll share which is my favorite Disney movie since I grew up. On one last exciting note. Since my last post I got our Magical Express booklet and luggage tags!!!! I am so excited. If you don't know or remember, Magical Express is the shuttle service offered by disney. We check our bags at HPN (ugh!) and don't see them again until we're in our room. They also transfer us from MCO (please!) to our hotel and have a great welcome video telling us all about the new things at Disney to look forward to. Can't wait to be on that bus! I'll leave you with a picture of our Magical Express booklet & luggage tags. So excited!! Hello again. I'm back for a "tiny update" of sorts. You know how some days you wake up and you just have a nagging feeling that today was a special day but you couldn't quite figure out why you felt that way? Well, that was what I felt this morning. I had a baby shower to go to but that couldn't of been the special feeling- people allergy remember. By the way, I didn't realize baby showers have become a nine month long party?? That baby shower lasted forever!!! Seriously, I remember thinking it was a good thing my mom, the former RN, was on hand for the delivery. The shower started with my friend only 3 months pregnant and upon finally leaving she was ready to pop! Ok, so I may be exaggerating, but I ended up being at the shower for 5 hours & I was the first to leave! Do these things really go on that long?? I was starting to wonder if I should have brought a pillow and change of clothes. Luckily for my friends and family I am still scheduling that hysterectomy, but if I don't, I'm the most antisocial person I know, so I'll probably be the first to leave my own shower. Anyway. After getting home from the pastel marathon, it hit me. Today is the day that the Disney Magic sets sail for the eastbound transatlantic cruise! That means our huge trip to europe is that much closer. 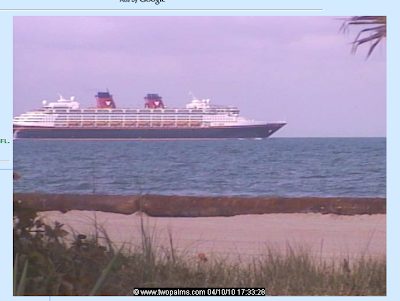 Today the Magic leaves from Port Canaveral, FL for a 14 day cruise ending in Barcelona, where it will sail Mediterranean cruises out of, until September 18th, when I will be boarding the Magic to bring her back home. Yes, the magic is a she. In the cruising world the ship (not a boat!) is a she. This is not very exciting news for you guys, but for me it's totally exciting. This also means it's the start of those passengers starting their trip reports, so I can get all the hints and tricks from them. I'll also have a better idea of what to expect. Well, that's it for now. Like I said it was a tiny update, but be on the lookout for a new update probably on Monday about Kristin & my trip to WDW that is coming very soon! Also, if you are reading my blog, please follow it (on the right) or leave some comments so I know you guys are out there. I'd love to hear from you! A photo of the Magic leaving for Barcelona today from a webcam on a hotel near Port Canaveral!